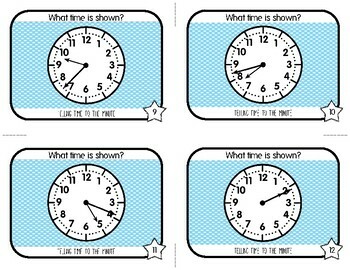 Use these 32 task cards to help students practice telling time to the minute. A student answer sheet and answer key is included so that students can check their work. 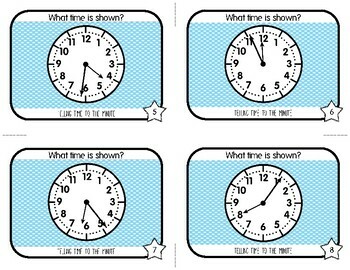 These task cards will work for stations, partner work, independent practice, for early finishers, or with the whole class playing a game such as Scoot. 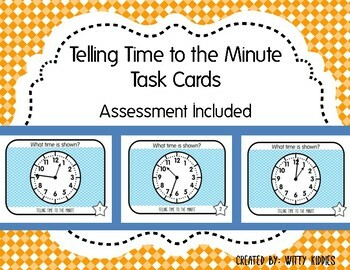 I have also included an assessment for telling time to the minute. 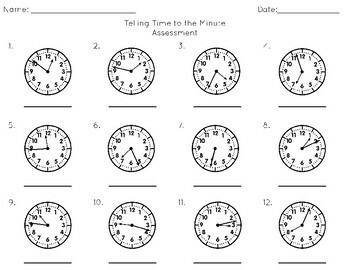 If you're looking for more assessments for your students check out these math quick checks for every objective for the entire year!